The Best US Fashion bloggers from thousands of top US Fashion bloggers in our index using search and social metrics. Data will be refreshed once a week. Also check out Top US Fashion Youtube Channels list for Top videos on US Fashion. 2.22 Because Im Addicted | A collection of style and self-love. 2.70 Gizele On The Go! US Fashion newsletter is a comprehensive summary of the day's most important blog posts and news articles from the best US Fashion websites on the web, and delivered to your email inbox each morning. To subscribe, simply provide us with your email address. Facebook fans 1,199,400. Twitter followers 441,640. West Hollywood , CA About Blog Shea Marie is a fashion influencer, designer, stylist, creative consultant, TV host, photographer, model and editor of PeaceLoveShea. Facebook fans 1,640,173. Twitter followers 31,314. About Blog Le Happy is a personal style blog by Luanna Perez-Garreaud covering fashion, style, beauty and more. Facebook fans 801,083. Twitter followers 16,547. About Blog A fashion, beauty & lifestyle blog by TV Host, journalist & Front Roe's author Louise Roe. The blog Features outfit ideas, beauty tips, recipes, DIY's & inspiration. Louise resides in LA, has a line of shoes and bags on Stylistpick.com, and writes fashion column for Huffington Post and Mens Health UK. Facebook fans 537,015. Twitter followers 344,524. New York City About Blog The Who, What, Where, When, and Why in the world of fashion and style can be found in W Magazine. Facebook fans 1,824,102. Twitter followers 1,526,441. California About Blog Jennifer Grace is a creative director and stylist based out of Southern California. This blog covers her personal style and fashion. Facebook fans 516,223. Twitter followers 12,204. Facebook fans 200,279. Twitter followers 5,262. Charlotte, NC About Blog Welcome to Southern Curls & Pearls, my name is Caitlin! I started this blog my junior year of college to document my day-to-day life and as a creative outlet to express my love for fashion, beauty, healthy eating, fitness and life in general. Facebook fans 107,589. Twitter followers 17,322. About Blog I’m Emily Gemma, author behind this blog. Starting at a very young age, I had a passion for sparkly jewelry, pink skirts, polka dots, & curling irons... needless to say this blog has become a place to share some of my favorite topics. Facebook fans 110,263. Twitter followers 17,133. 22. Because Im Addicted | A collection of style and self-love. los angeles About Blog I started this blog in 2005 to chronicle fashion, music and art as a creative outlet while unfulfilled at my full-time job. Over the last decade, my passions have expanded and I love sharing inspiration for a lifestyle that feels good, especially when it comes to wellness. Facebook fans 4,512. Twitter followers 16,944. NYC About Blog WWW covers everything from fashion to interior design to menswear, your single-source destination for the delectable world of Danielle. The site began as a daily dose of outfit inspiration before growing into an aspirational—while still relatable—aesthetic for all things coveted. Facebook fans 187,299. Twitter followers 37,461. Brooklyn, NY About Blog Brooklyn Blonde is a Fashion & Lifestyle Blog by Helena Glazer. She started Brooklyn Blonde with no one in mind but herself. Facebook fans 24,439. Twitter followers 21,394. Orlando, FL About Blog J's Everyday Fashion provides outfit ideas, budget fashion, shopping on a budget, personal style inspiration, and tips on what to wear. J is on a mission to help, inspire and encourage women on a budget everywhere! She is proof that style is not just something you are born with, but that it can be learned. Facebook fans 91,400. Twitter followers 13,094. Dallas, TX About Blog Kendi Everyday is an every girl’s guide to living your best life. Kendi Everyday has quickly evolved into daily inspiration for style, beauty, lifestyle and entrepreneurship from editor Kendi Skeen. Facebook fans 27,335. Twitter followers 18,688. San Francisco, CA About Blog I am Anh, wife of an OCD cutie, mother to a little girl named Lucia. 9to5Chic is my way of expressing personal style at work. Here I showcase my personal style and fashion. Facebook fans 36,112. Twitter followers 13,535. San Jose, California About Blog Crystalin Marie is a fashion and lifestyle destination that covers topics related to fashion, personal style, and bits and pieces of Crystalin's life. Facebook fans 3,221. Twitter followers 2,112. Chicago IL About Blog The Golden Girl is a Chicago based Fashion blog covering various topics including Style, Travel, Beauty, Lifestyle, Holiday, reviews and more! Facebook fans 3,303. Twitter followers 2,219. Jacksonville Beach, Florida About Blog It is fashion and lifestyle blog. Facebook fans 19,035. Twitter followers 6,279. Pasadena, CA About Blog I'm Brittany Xavier and I began my personal style blog. My style is versatile, casual, comfortable and a bit edgy. My blog first started out as only fashion but over the last three years so much of it really includes the lifestyle aspect of my everyday life. A blog to highlight my affordable finds as well as brands I find worth the splurge, those investment pieces I'll wear again and again. Facebook fans 9,886. Twitter followers 1,599. Nashville About Blog Hi, I am mary. I think style encompasses more than just the clothes you see. The way one walks, talks,stands, and most importantly, the confidence all create style. I am no fashion expert. I am learning and evolving more everyday as Happily Grey grows in its own way. Facebook fans 26,099. Twitter followers 4,762. New York About Blog Where Did U Get That is a blog by a British blogger Karen Blanchard, obsessed with shopping and fashion in New York. Documenting personal style and street style. Best places to shop, cool boutiques and shopping. Facebook fans 15,441. Twitter followers 11,005. Los Angeles About Blog Anine's World is a platform where I share inspiration about fashion, lifestyle, career and beauty, and where you get a glimpse of my personal life. Facebook fans 29,905. Twitter followers 4,141. New York, NY About Blog I'm a Nigerian girl, born in California, living in NYC. Pllus size princess is your Guide to Plus Size Fitness, Fashion & beauty. Facebook fans 37,996. Twitter followers 18,104. Dallas, TX About Blog The Style Scribe is a personal blog written by Merritt Beck, celebrating style, fashion, travel, beauty and life's other little luxuries. Facebook fans 20,180. Twitter followers 8,088. Orange County, CA About Blog A life & style blog by Kathleen. I consider myself a budget-friendly fashionista and love sharing my discoveries with you guys in not only fashion, but also home, travel, personal content and more. Facebook fans 7,801. Twitter followers 3,003. Facebook fans 187,506. Twitter followers 22,683. Los Angeles About Blog Snob Essentials is a daily blog about designer handbags and purses, beauty products, luxury fashion, couture and the snob lifestyle. Facebook fans 601. Twitter followers 18,881. Dallas, TX About Blog Courtney Kerr is the editor of KERRently, a website that showcases her personal style, beauty tips & tricks, favorite recipes, interior design inspiration & travel diaries. Facebook fans 149,984. Twitter followers 76,218. New York About Blog Cocorosa is a blog where Chantal collects and posts her daily inspirations, style musings and outfits. She has a great love for fashion, styling and photography. She works as freelance fashion designer and trend forecaster. Facebook fans 102,153. Twitter followers 8,679. About Blog Hello! I'm Pamela, a Houston life style blogger. Wife. Mama of two. On my blog, you'll find my love of thrifting, food, travel & life in general. I love the nice things in life, but am always looking for a thriftier way of getting what I want that falls within the budget. Dallas, TX About Blog Fashion Jackson is a Dallas based fashion blog focusing on smart, fun, fashion while encouraging readers to imagine, inspire, & impress. On her blog you will find her daily outfits, trend inspiration, styling on a budget, the occasional food post, and obsessive Instagrams of Scout. Facebook fans 4,796. Twitter followers 622. Los Angeles About Blog mywhiteT is a LA based fashion and lifestyle blog by Jessi Malay. This blog covers her life through fashion, beauty, music & travel. Style tips and makeup tutorials. Facebook fans 2,100. Twitter followers 11,743. San Francisco, CA About Blog Cuppajyo is a creative outlet to share my cup of fashion, travel, beauty and lifestyle. My style can best be described as casual chic, beachy and bohemian. Facebook fans 1,099. Twitter followers 977. Facebook fans 13,849. Twitter followers 5,395. About Blog Sarah Loven is the founder of Ready Gypset Go, a blog that catalogs her unique lifestyle and fashion. This blog promotes the freedom of being your own creative person, making your own path, and a living a Gypset lifestyle. Facebook fans 1,221. Twitter followers 329. About Blog Lifestyled Atlanta owner, Courtney Clymer, has had a "passion for fashion" for as long as she can remember. Lifestyled Atlanta provides wardrobe styling for women and men of all ages. Facebook fans 1,295. Twitter followers n/a. Facebook fans 2,098. Twitter followers 198. Minneapolis, MN About Blog Mia Mia Mine is a place to discover, relate and inspire. Spanning everything from fashion to beauty. I encourage you to escape the ordinary and embrace the beauty around you. Facebook fans 1,837. Twitter followers 1,013. Facebook fans 6,522. Twitter followers 4,043. Phoenix, AZ About Blog Sassy Dove is a beauty blog written by a Phoenix sushi enthusiast and unnatural redhead. A snarky bent on beauty tips, makeup reviews and hairstyle how-to makes each post an entertaining journey beyond the simple mascara review. Facebook fans 3,328. Twitter followers 11,277. Bushwick About Blog De Lune is a style & self-photographed personal style blog by a Brooklyn-based redhead working in tech and getting into shenanigans by Claire Geist. Facebook fans 6,307. Twitter followers 3,791. New York City About Blog NYCpretty is a fashion, beauty and fitness blog created by fashion editor and spokesperson Christine Bibbo Herr. This is where she provides readers with current fashion, beauty, and fitness inspiration for girls everywhere. Facebook fans 3,323. Twitter followers 6,354.
usa About Blog A life style and fashion blog about my personal style and travel experiences. Facebook fans 1,784. Twitter followers 840. Las Vegas, NV About Blog Hi, I am Kier Mellour. On this blog, you will find weekly “I want that” posts where I share my current cravings, style inspiration posts, and personal outfits for a variety of events and travel destinations. There will be videos of thrift store hauls, current favorite products, as well as, thorough reviews on clothing, accessories, and lifestyle products. Facebook fans 8,955. Twitter followers 5,545. Los Angeles About Blog The creation of GIULIANA RANCIC blog is a place where it can share exciting news and updates about varieties of gift guides. Facebook fans 1,636,325. Twitter followers 3,641,749. NYC & LA About Blog Eugénie Grey is a fashion, beauty, and travel blogger. This blog covers fashion, style and more. Facebook fans 10,889. Twitter followers 12,823. Facebook fans 2,397. Twitter followers 220. Facebook fans 1,354. Twitter followers 644. About Blog Hey, Miss Carter is a Blog by Kaitlynn Carter. Here you’ll be able to keep up with all I find worth sharing about fashion, beauty, lifestyle and travel. Facebook fans n/a. Twitter followers 2,562. Facebook fans 2,183. Twitter followers 2,553. New York City About Blog NICOLE ALYSE is a New York City personal style blog covering fashion, lifestyle, beauty and more. Facebook fans 3,514. Twitter followers 4,062. Philadelpha About Blog My name is Keri. I think it is important to wear clothing that reflects your personality and own sense of style because it can influence your subconscious without you even realizing. With this blog, I hope to make this phenomenon more will known and encourage both women and men to take pride in what they wear and to be confident! Facebook fans 18. Twitter followers 328. 70. Gizele On The Go! Nova Iorque, USA About Blog Gizele Oliveira, Brazilian from Espirito Santo and model. In this blog you can see fashion, lifestyle, trips, outfits and more. Facebook fans 17,117. Twitter followers 3,196. LA / NYC About Blog My name is Evelina. I love fashion, traveling, discovering dope things and also don’t take myself too seriously. Come hangout, enjoy some awesome images, videos and make your day a little better! Facebook fans 58,387. Twitter followers 68,632. Boston,MA About Blog Love Playing Dressup encompasses fashion, lifestyle, beauty, travel and home decor. This blog gives an insight into my personal style and everyday discoveries with the aim to inspire you to “dressup” little moments of your life. Facebook fans 2,815. Twitter followers 20,671. Los Angeles, CA About Blog This is a personal style blog by francis lola. This blog features fashion, beauty, lifestyle, travel and more. Facebook fans 1,758. Twitter followers 5,214. Cincinnati, Ohio About Blog Laura Lily is a top popular Los Angeles Style Blog in which Laura features her favorite trends, styling tips as well as a few travel reviews. Facebook fans 4,613. Twitter followers 274. Denver, CO About Blog I’m Amber a twenty-something gal from Denver who has loved styling outfits since I was a little girl. I had always loved fashion. Every Once in a Style is a trend savvy and budget friendly style and beauty blog based in Denver, Colorado. Facebook fans 1,391. Twitter followers 903. New York About Blog I’m a Brazilian fashion blogger and student based in New York City. This is my personal blog featuring fashion, style, outfits and more. Facebook fans 1,215. Twitter followers 2,778. New York, NY About Blog This is a personal style and fashion blog by tiffany. Facebook fans 2,846. Twitter followers 950. About Blog Jennifer Wilson founded Modern Ensemble in November 2013 as a way to creatively express herself on a daily basis through her two loves, fashion and design. Modern Ensemble is about all things fashion, design, lifestyle and beauty. Facebook fans 1,099. Twitter followers 215. Chicago About Blog This is my personal style and fashion blog. Loving fashion and food and living in Chicago. Styling, outfitting, and showcasing my daily lookbooks. Facebook fans 1,932. Twitter followers 1,261. US About Blog Shalice Noel is a US based blogger, stylist, and mother of four. On her blog she mixes high end with low end, for attainable fashion. She supplements her fashion posts with inciteful info about her personal life, making the content on her blog unique and distinctive. Facebook fans 263. Twitter followers 448. Beverly Hills About Blog Style doesn’t just come in the clothes that we wear: It can be found throughout our everyday lives. This blog is about my love for fashion and how beauty can sometimes lie in the details. I strive to bring beauty to every part of my life, and I encourage others to do the same. Facebook fans 33,534. Twitter followers 5,778. Los Angeles, CA About Blog Haut Appétit is a digital lifestyle experience to discover Elizabeth Minett's personal style, dessert recipes, and beauty tips. A guide to satisfy an 'it' girl's appetite for life. Facebook fans 27,108. Twitter followers 45,906. San Francisco About Blog KatWalkSF is fashion and style blog by Kathleen. Facebook fans 2,531. Twitter followers 5,131. Facebook fans n/a. Twitter followers 3,783. Los Angeles About Blog The official website of It's Super Fashion with posts, photos, videos and latest news about fashion by the Italian actress and blogger Marta Pozzan. About Blog I’m a former fashion buyer, retail consultant, and interior designer living in southern California. A Note On Style presents my edited view of everything from fashion and décor to people, places and everyday living. Facebook fans 1,691. Twitter followers 153. About Blog I blog about fashion, inner beauty, positivity and love. I’m so happy to share my thoughts, my style, and my dreams with those that want to hear it. Facebook fans 549. Twitter followers 489. Facebook fans 113,200. Twitter followers 292. United States About Blog My name is Kristina, Day in my dreams is a fashion, travel and lifestyle blog. A source of inspiration and collaboration, join in on the journey of life and beauty, while discovering the latest in luxury fashion trends and minimal style. Facebook fans 400. Twitter followers 1,909. About Blog Throughout this blog, you will find daily inspiration on fashion, makeup, and lifestyle tips. I want women to always feel beautiful and good about themselves. This blog will be a pathway for women to find empowerment and inspiration daily. Boston, MA About Blog My name is Odette Wakim and I am the writer/blogger behind Sparkle In Gold. Being a fashionista, it’s hard not to fall in love with anything that is pretty- and gold. But there’s more to it than that- I love the light of gold the sun shines on us every day, the gold warmth of a smile, and the inner gold Sparkle that is in each and every one of us. Facebook fans 365. Twitter followers 181. About Blog My name is Waters, I am from Kauai and currently living in San Francisco. My blog is nothing special, just a gamine playing dress up. My blog consists of styles that I call structured grunge and edgy street wear. Fashion is always changing and my blog is where I can be creative and show you how I style brands that are up and coming. Facebook fans 1,273. Twitter followers 119.
new york About Blog FOREVERVANNY's style is as diverse as the people who roam this city. Chic, polished, and a little bit of contrast between delicate details and tomboy-ish vibe is what she aims to show. Beyond fashion, FOREVERVANNY seeks to find other forms of inspirations through different cultures. Facebook fans 524. Twitter followers 300. About Blog My name is Bisma from New York and the Author and Editor of this blog. I love everything related to beauty and fashion and my blog is just a mean to share my way of style with the world. My blog is all about Fashion and Beauty. You will find product reviews on makeup, skincare and occasional hair/body care products along with the outfit posts, latest fashion trends and news. Facebook fans 1,553. Twitter followers 801. Los Angeles About Blog Welcome to StyleMeSamira, a visual diary created to share a daily dose of my life, style, & everything in between! I wanted a place where I could offer my knowledge & ability to show women that they don’t have to be a size 2 to be chic. Learning what works best for your body type & of course how to wear it more than once. Being Fashionable is just as much about confidence as it is about style. Facebook fans 357. Twitter followers 1,419. San Diego, CA About Blog Hi guys, welcome to my Shamelessly Fabylous life as Faby. This is a personal fashion and lifestyle blog about outfits, street style, travel, fashion trends and random thoughts and musings. Facebook fans 200. Twitter followers 582. St Petersburg, FL About Blog The Blonde Diary is a fashion and lifestyle blog bringing you style, fashion, beauty and travel, all from the perspective of three blondes. Facebook fans 465. Twitter followers 31. New York City About Blog I am Shipra Sharma. I believe beauty is not skin deep, and, to be truly beautiful, your personality and soul have to be as refined as your external self. This blog is a place where beauty, fashion, lifestyle, inspiration, health and wellness come together to help you live a happier life. Facebook fans 507. Twitter followers 604. About Blog A personal life and style blog encompassing fashion, beauty, skincare, makeup, nail art and more by Gigi Lam. Facebook fans 116. Twitter followers 544. About Blog Pink Peonies is blog dedicated to being a source of inspiration for women and young girls who love fashion. This blog makes over-the-top girly wardrobe choices, like glitter and pink, look totally professional. Facebook fans 98,893. Twitter followers 16,507. Mountain View, CA About Blog Comprehensive up-to-date news coverage about US Fashion, aggregated from sources all over the world by Google News. 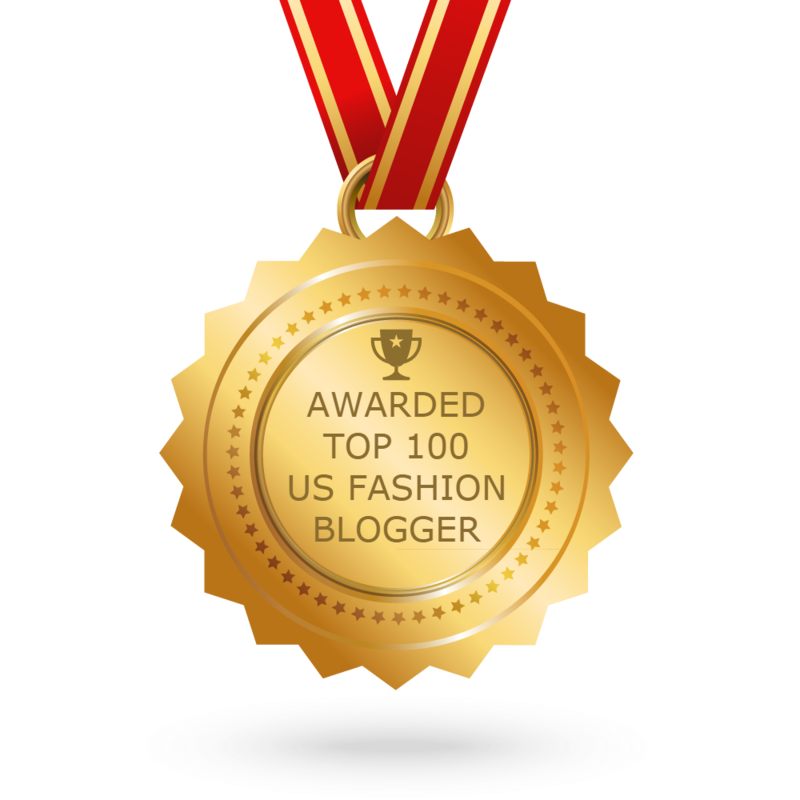 CONGRATULATIONS to every blogger that has made this Top US Fashion bloggers list! This is the most comprehensive list of best US Fashion bloggers on the internet and I’m honoured to have you as part of this! I personally give you a high-five and want to thank you for your contribution to this world.